For many, having a newborn baby means spending a couple of months at home trying to get to grips with the new lifestyle. But what happens if you’re a farmer? 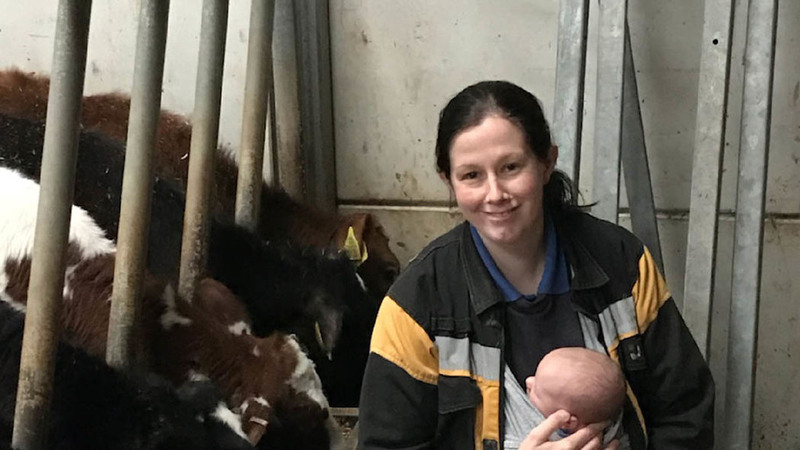 We talk to new mother, Georgina Fort, who tells us that what it has been like farming with a new addition to the family. Could you imagine having a newborn baby and milking the following morning? 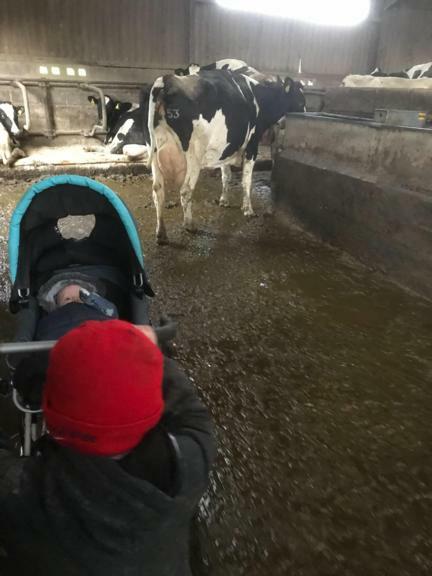 Life on the farm never stops, and as Georgina Fort explains below, nothing - not even a newborn baby - gets in the way of the everyday tasks. "The decision to start a family was an easy one. I’ve grown up on the farm and it’s a very privileged up bringing. Yes, it’s not really what you would call ’normal’ compared to the other kids I went to school with, especially in the summer holidays when they went to Spain or Disneyland and I was making hay. But you have freedom from a very young age. My husband and I wanted to be able to give someone else the same opportunities I had. Then, when my mother passed away in October 2016, it made me realise that life really is too short. It was lambing time when I found out I was expecting meaning I had to stay away from the lambing shed and do other jobs like muck spreading. Ideal! However there are downsides to being pregnant and running a farm because naturally, I couldn’t do everything that I normally did. My daily chores would have been milking, calf feeding, tractor work, AI and foot trimming. As I got further into pregnancy and the bump got bigger, I had to stop the jobs like these. I’m a bit of a control freak, so not being able to go about my normal duties was very frustrating. I had friends telling me how nothing prepares you for having a baby and how your life completely changes, but none of these friends were farmers. I know women who are married to farmers but it’s a bit different when you are involved in the day to day running of it. I’m not one to sit on the sofa and rest but the bump did slow me down. Leading up to giving birth I did however feed the calves twenty minutes before I went into hospital to be induced. Alexander was born at 4:37am on Halloween - perfect, just in time for morning milking! With working all the way through pregnancy I hardly gained any weight, resulting in quite a quick and easy labour. I must have got my dry cow diet right. Normally my husband doesn’t work for us but his two weeks paternity meant I had him on the farm, giving me time to recover from the birth and get established with the baby (as babies don’t come with manuals do they?) Before long, we had a sling purchased and Alexander was out there with me. Honestly? He is very much tuned into farming already. He tends to eat around milking times and as soon as he’s in the parlour he’s fast asleep. He’s been quite a good baby which has meant I can still be actively involved in the business. We aren’t out everyday. If it’s very wet or cold we’ll stay in and do paperwork. It’s funny how my life was managed around the farm before Alexander was born and now the farm is managed around him, but he has fit in to it all surprisingly well. As I write this he’s approaching three months old and it has flown by. He loves the tractor and gets upset when we aren’t going outside. It’s amazing how he’s so aware of his surroundings and what we should be doing during the day. I’m sure it won’t be long before he’s walking around causing mischief and telling me what to do." Nappies in the lambing cupboard seen as lambing is approaching, it’s important!